← Disc Golf in Peabody, MA??? Yeah!!! As we keep our ears and eyes open this season for new content and products in the disc golf realm- we see Avery Jenkins is a busy man. Filming along side Jussi Meresmaa, Avery leads us into short length instructional videos. As of last week there was just this trailer released- exciting stuff, well produced, but we didn’t really know what to expect. Was it a DVD? A full length instructional video? Could it be something else? Now we know what we’re looking at- the short, compact videos with Jussi and Avery focusing on one subject at a time. Here’s the first video in their series. It looks like according to their website, they will have at least five full episodes. It seems like Discmania understands today’s marketing in regards to this disc golf climate. Their discs, though excellent, aren’t as widely known. These spokes-people however, ARE widely known. As they offer up these videos for free online, they instantly gain exposure and move up in the eyes of their viewers. Not only that, but the high quality production keeps the average consumer interested. 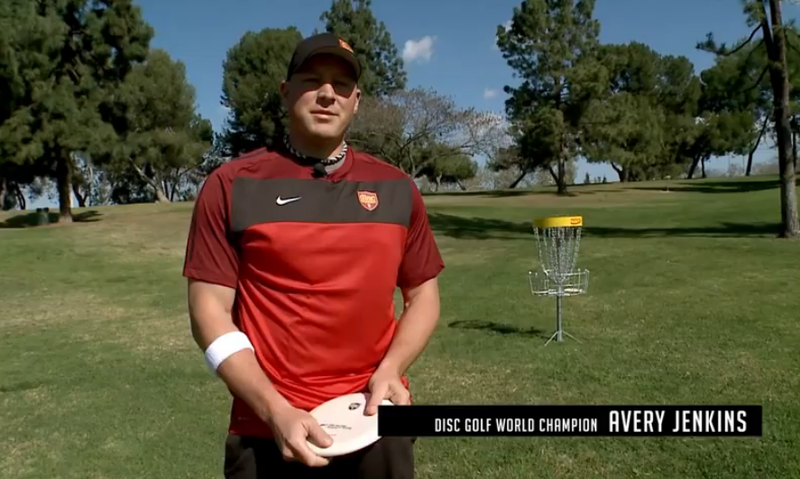 The last thing a disc golfer wants is another poorly shot, incomplete instructional video. These seem to be on the right track. Not biting off more than they can chew- each one touches on an important subject. So keep your eyes open for these videos as they are released this spring and summer! This entry was posted in Opinions & Technique, Touring Pros and tagged avery, deep, disc, discmania, game, golf, in, instructional, jenkins, the, video. Bookmark the permalink.